The Siretta Multiband antenna combines good performance in a small size, enabling its use with many of today’s GSM/GPRS/3G and 2.4GHz products. 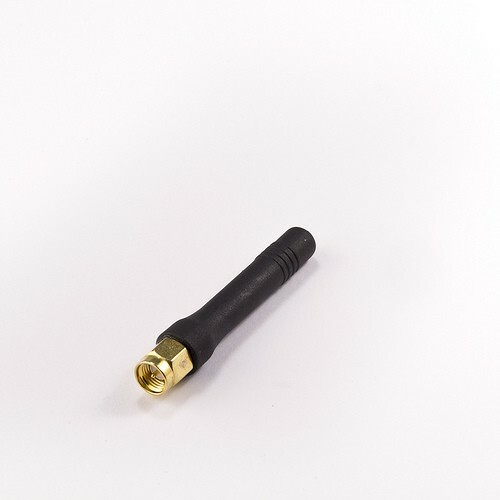 Terminated with an SMA male, SMA RP or FME straight connector, it is ideally suited to applications requiring a simple, cable free set up, such as Point of Sale, metering or alarm panel equipment; as well as being a popular addition to radio manufacturers evaluation kits. The omni directional, radiating element is overmoulded in black high-grade rubber which allows flexibility and provides a rugged stylish finish, ensuring years of reliable use. The DELTA 1 is a popular antenna for customers requiring a straightforward to fit, versatile product, that is qualified and used with many of today’s GSM & GPRS terminals and manufacturers of wireless communication equipment.